The ability to publish and schedule reports according to one’s profile is an important feature that we have in Business Objects. For example, if I am a plant manager for a the West Region and want to receive a daily report on work quality, it would be very beneficial if I can receive a report in my inbox daily that only contains results for the West Region. This would save me the hassle of manually running a report each day and manually entering in my parameters, which is cumbersome. In this tutorial, we will walk through step by step on how to schedule and burst a Web Intelligence report as well as creating user/group profiles. 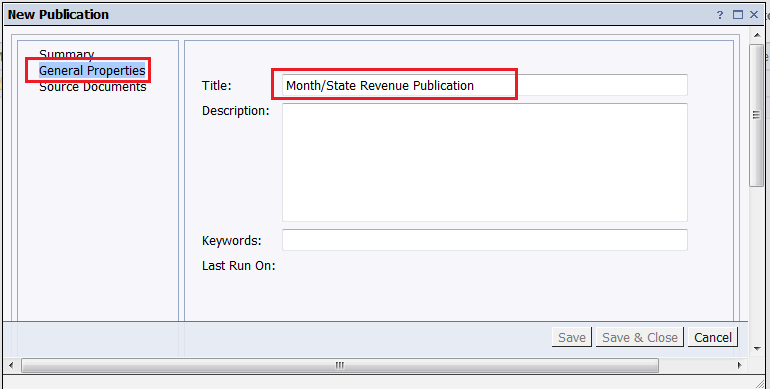 As you can see we use the months as columns, the states as rows and Sales Revenue as the measure. 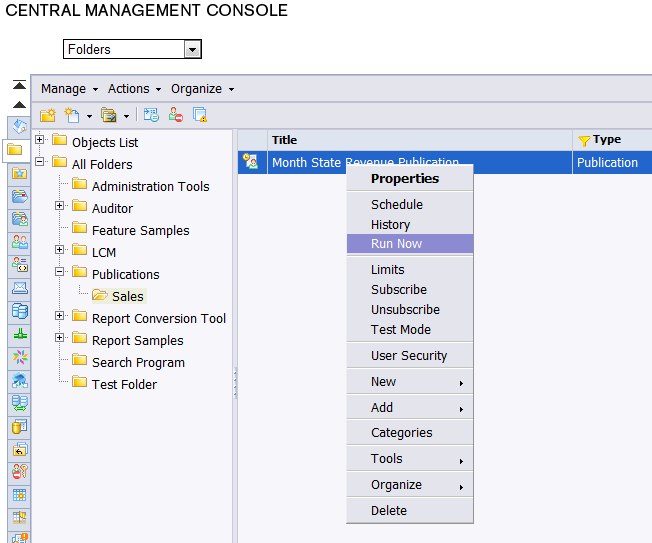 In addition we will insert a Year Query prompt. I wanted to pop in the Year prompt to highlight 2 very important points that you must be aware of. On our profiles, we can only filter based on selected dimensions. 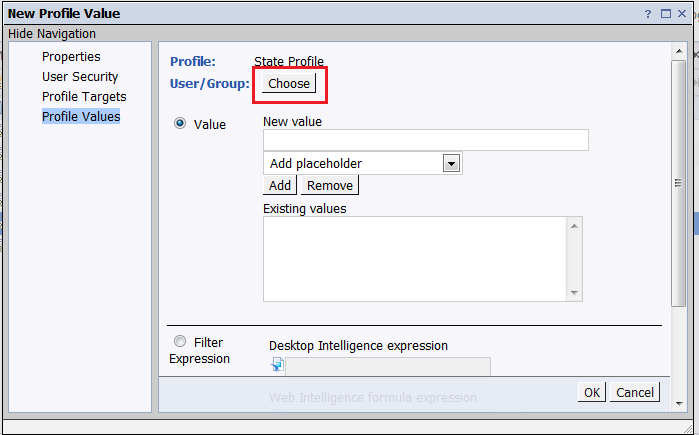 Remember that you cannot create a profile parameter based on a query prompt. Many people forget this and wonder why their profile parameter isn’t working. When we reach the profile creation step I’ll remind you again. 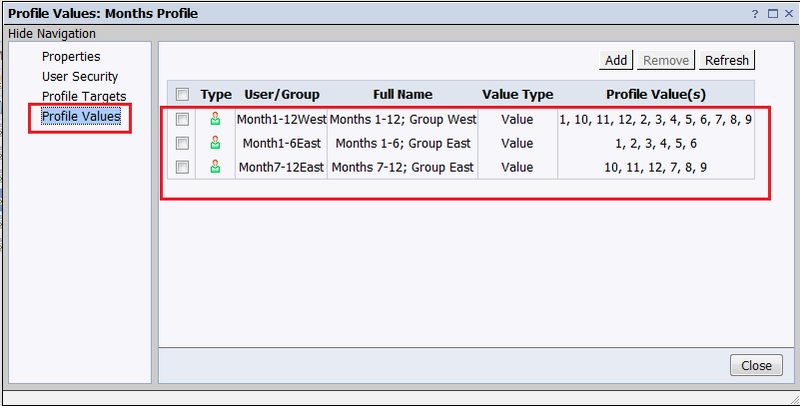 Unfortunately, scheduled reports cannot insert dynamic values into the query prompt. Hopefully SAP reads this so they can fulfill this long awaited enhancement, since many people I know complain about this limitation. There are ways to work around this issue but is out of our current scope. This stage involves setting up the profiles that we will use in our publication. Users will be inside either US West or US East and will filter again depending on what months they should be able to see. 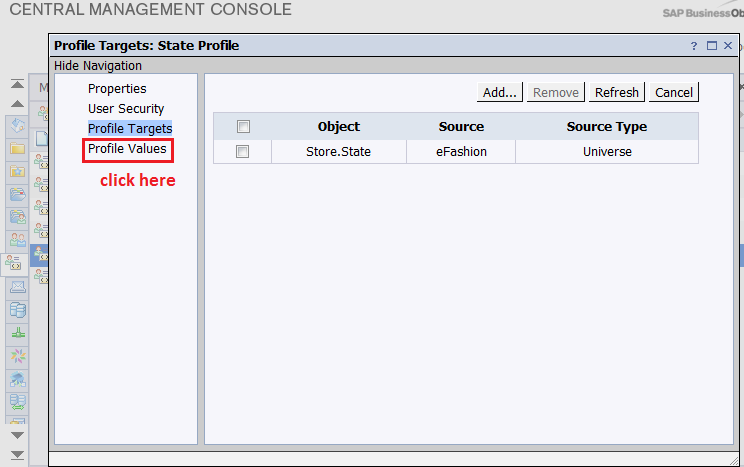 First let’s create a State profile that filters on your state object. Now we will create the 2 region groups. 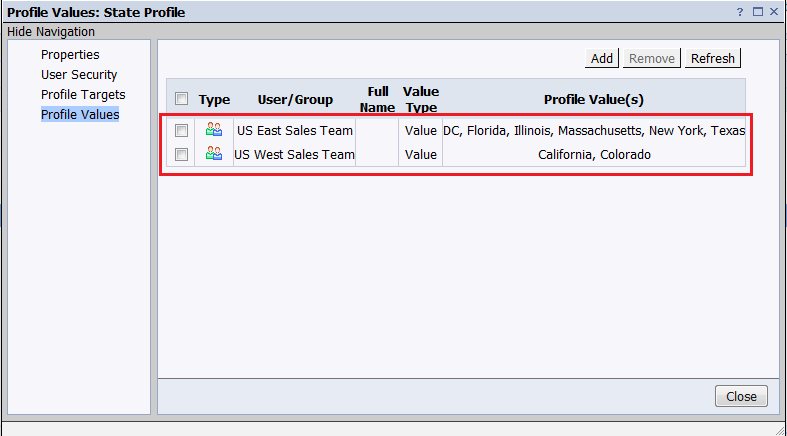 On the Group selection screen, select “US East Sales Team”, press the “>” button. Then press the “OK” button. We can now add all the Eastern States. To do this, type the State name and press the Add button, one at a time until you have the list of all Eastern States built. When you are finished, press the OK button. Then we need to build the US West Sales Team. 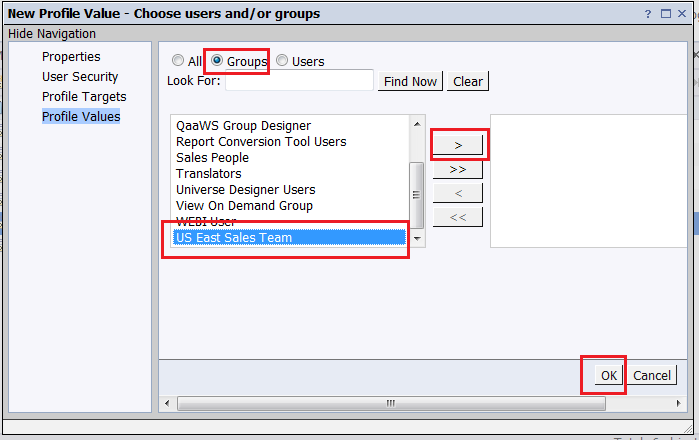 Click on the Add button and follow the same steps as what we did for the US East Sales Team group. When we are finished adding the US West Sales Team Profile values, it should look like the image below. 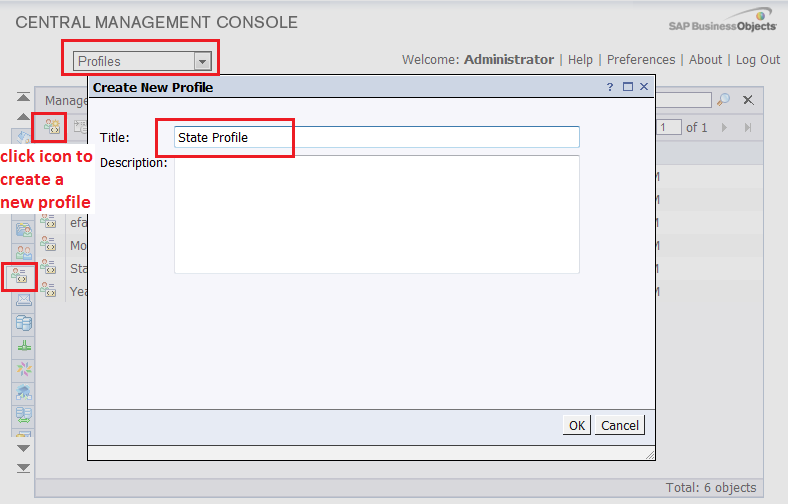 Next create a Month profile and set it up the same way as the State profile. At the end, the Profile Targets and Profile Values for the Month Profile should look like the following screenshots. The following section involves setting up the publication. You can either create a publication in CMS or Infoview. In this example we’ll create it in the CMS. First we’ll navigate to the folder where I’m going to create the publication. It’s best practice to come up with a organized publication structure if you have many different types of publications. We can skip the Dynamic Recipients section as this is used mainly for Crystal Reports, which will be covered in a future post. On the Personalization section we want to add the profiles that we created in Step 2 as part of the Global Profiles. Also Note: Important reminder that profiles can only filter on dimensions existing in the report and not the Year query filter prompt that we created! 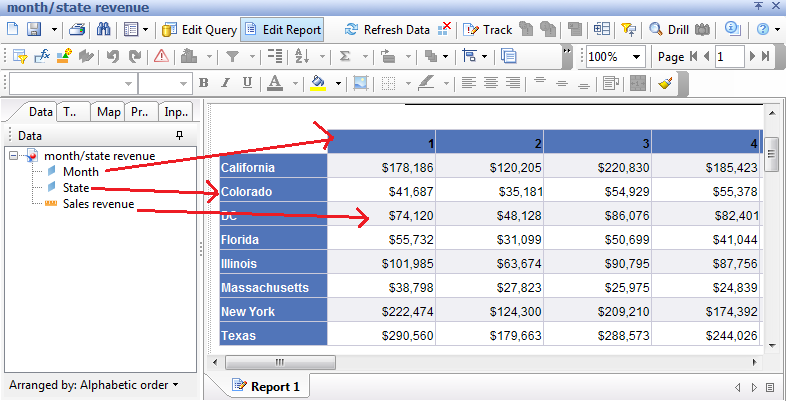 In the Format section we can select the type of format we want to distribute the report in. In our example we will distribute the report to our users in PDF format. There are a variety of destinations that we can burst the report to. The most popular options are Business Objects Inbox and Email. 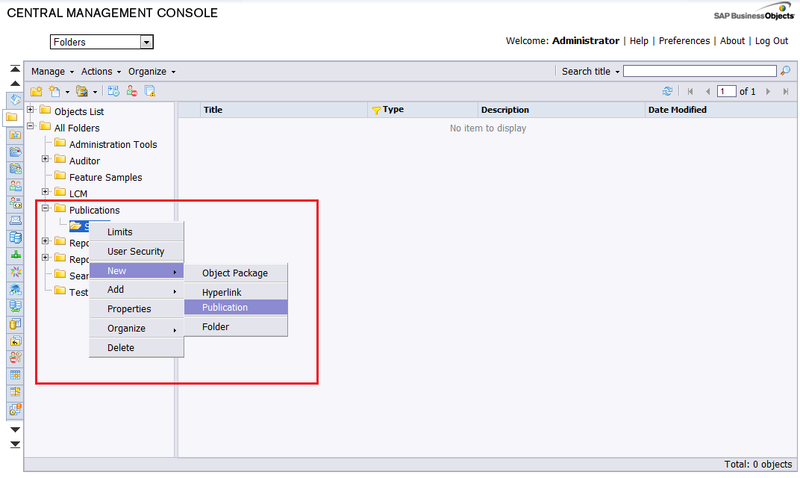 In our example we will burst to the Business Objects Inbox. Now we can setup the scheduling portion by going to the Additional Options section. On the Prompts section we will select 2004 for the Year. Remember that this can only be a static value unfortunately. Next we will set our report to burst daily at 6am. The last 3 items we will skip, so just click Save & Close. Note: From the advanced section I will be writing a post on Profile Resolution in a later post. Now instead of waiting until 6am next morning, right click on the publication and select Run Now. Note: You’ll notice there’s an option to Subscribe and Unsubscribe from publications. I’ll be covering the subscribe and unsubscribe conceps in a later post. Verify that each user has the correct bursted report by going to each users’ inbox through the CMC as the Administrator. David, i see you have posted a new topic related to bursting reports to dynamic recipients. I have a generic question, what is the key difference between scheduling and publication. The way i understand is publication gives you addition option by creating roles based prompts. I have not gone through your dynamic recipient blog yet but i intend to do it after i complete writing you. So if you can tell in a sentence or 2 about the key difference that will be helpful.. thanks and good work. Love this detailed post on setting up BO publications. God bless you. I have a question here. By doing so will the report hit the database only one and have a long refresh or it is just like the manual process as it will hit the db for every value. David, Thanks so much for this. You’ve saved many hours of our work. It was a very useful post in understanding the report bursting. As explained above I tried to burst the report with two profile target values which was created on my business flow. In the result intance, the filter was not applied. The designated user was able to view all the records and also the row level security applied for that user also did not work..
Kindly advice…as I am very much in need to this solution….. I am trying to schedule a webi report and in the prompt section, the system needs to take latest ‘cal month/year’ in my prompt. How to set that when we schedule the report. I have a small question- MY publication(personalization) and report run’s fine in Local profile mode but when I change personalization to Global profile it fails? just curious why does it fail in Global Profile mode? Great post , I have a requirement that if no data in the scheduled publication for a user, that mail should not to be send. Can you help me, in suppressing the distribution if the report do not have any data to be reported. There are cases where there is no data in the report, so the report should not be delivered. I have the same requirement, to distribute a single report to 600 audiences with releavenat information for that user. 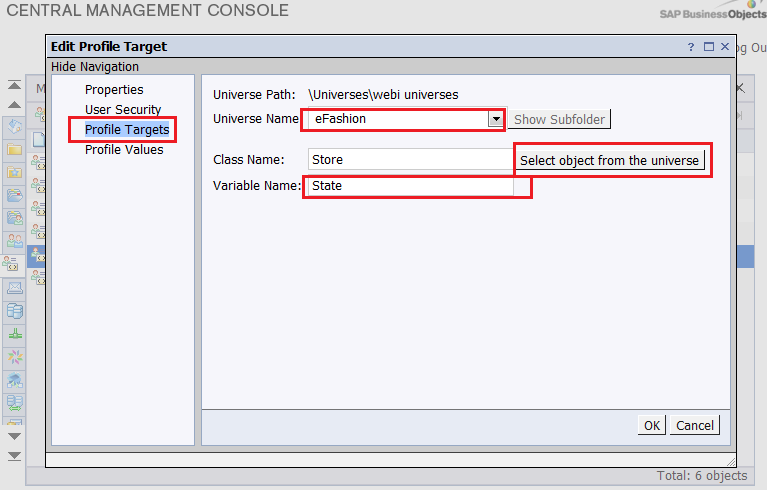 Do you know how to programmatically do the same using .net SDK ? however, is there any literature that discussing using Profiles for distributing publications through report bursting along with having report or tab filters? For Example, I have a report in which I want to distribute to 4 global World areas and I have configured groups with these profiles to limit by the world area they are in. When I add the profile into the personalization and schedule the report, it does indeed create the reports to the individuals utilizing the World area profile, however it no longer executes the report tabs with the tab filters that are applied. 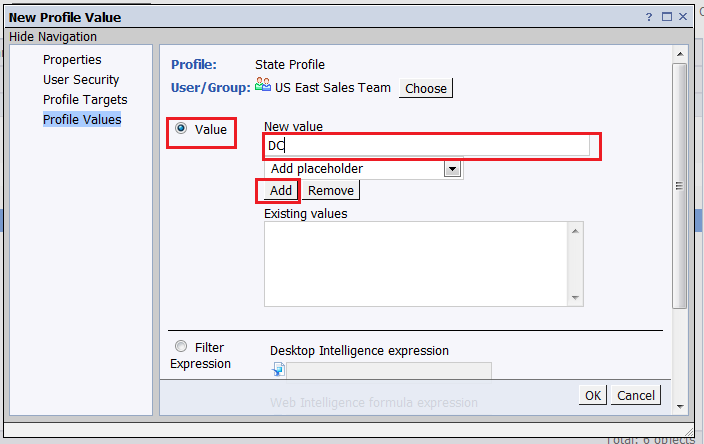 For example one tab is filtered for specific values for some measures and the next tab needs to include these values. Is there a way to use profiling without losing the individual tab filters within the report? these report filters are not prompts which I realize cannot be used but rather just like dropdown filters. Any ideas would be appreciated. I think the loss of filtering at tab level is an issue that many people are currently having. Not sure if SAP has resolved that yet. I can probably open up an SAP issue to check. Great post & very well explained for a novice on publishing documents. One question, apparently the options to distribute the bursted documents to the user community – BO Inbox & Email are less favoured in our scenario. The other two methods — ftp server / File system.. could you please share an example each of how to specify the destination in these two cases? I have one question here. I have around 50 publications in a folder. They are all scheduled on daily basis at a particular time. Today due to some reason I need to resend all the reports. Usually I schedule each and every publication for once again and get the work done. But is there a way to avoid this manual effort? Is there a way to invoke all the publications in a folder? 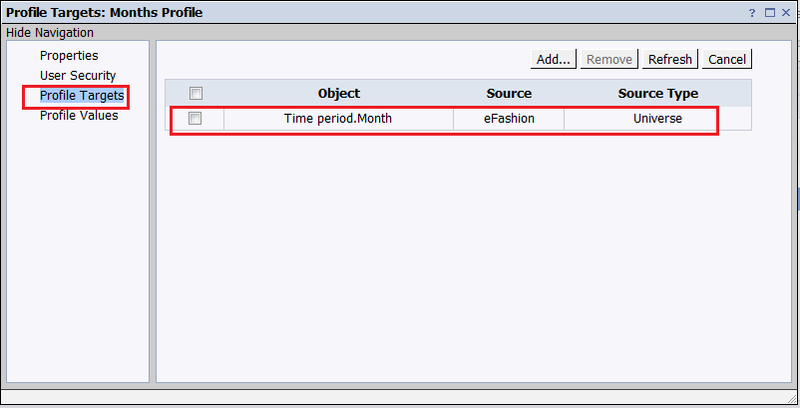 Unfortunately scheduling is for each object and there is not a bulk scheduler that I know of. Perhaps there may be a 3rd party BOBJ tool that may handle this. You can make it so that there is row level filtering that grabs the email on the publication. Just make sure the email comes back from your dataset. 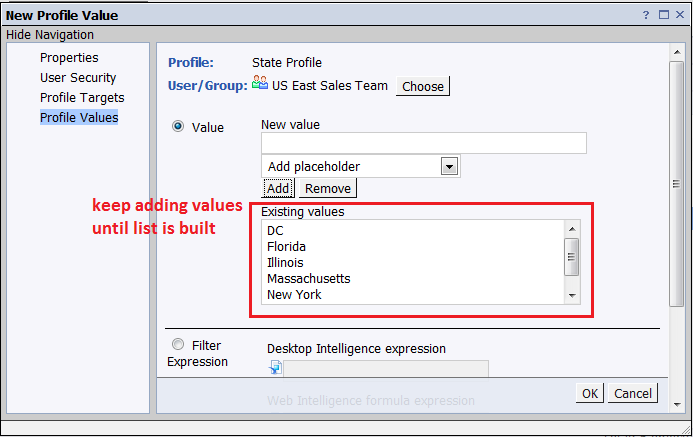 From there you can use the conditional formatting feature in WEBI. HI david, I am running into the same limitation you described above in your post. “scheduled reports cannot insert dynamic values into the query prompt”. You mentioned alternatives to do this. It would be really great if you could guide me to any of the same. The easiest way to accomplish this is to create an object in the universe that is dynamic. Then have the prompt point to that object. The universe object can then be controlled dynamically and will therefore act as a dynamic variable for your prompt. Thanks for sharing the valuble information.. Yes you can just open the latest instance of the report and then save it to your machine. We are about to go through the efforts of doing a concept of your publication for our 3.1SP5 system. We are an SAP shop and scheduling is somewhat un-usable because they did not setup proper SNC and SSOTRUST between BOE and the Portal and BW. They aren’t in the same domaiin and we get expiring tokens from portal, if we were SNC/SSOTRUST then this isn’t an issue. But SNC and domain corrections aren’t planned until our rollout of 4.1 mid next year. My question is, does this method and the publication migrate into 4.1 or are we going to have to re-design the publications in 4.1. I would hate to have to re-invent the wheel twice, but management is pretty adamant that they want to see bursting in our current environment or if it can be done on manual schedules vice recurring where it fails due expiring before the proposed 2am recurring schedules. I haven’t tried promoting publications from 3.1 to 4.1. However you can try setting up 2 sandbox environments and do a quick test that way. I have not set any profile. i want to send just one tab form my Webi to a enterprise user(myself for now). Why is this? What have i missed? I believe i have nothing to do in Personalization tab because i am not applying any filters. I am looking for the possibility of adding a part of the report variable into the name of the output of the publication. Now, I get the name of the report + ID, but I would like each report to have the code that is used as prompt and section added into the name. Output: name of the report + report variable + ID. Is this possible and how can this be accomplished? hi, when I select a universe in the universe selection I get this error, but cannot find where I can correct it. it only occurs on some of my universes, have you seen this error – or do you know how I can correct it? I read your post and found it very informative.I am new to BO and have a requirement regarding scheduling—- I have a report and it should be scheduled to two clients present in different locations India and US but the report should reach their inboxes at a given time simultaneously(eg: At 8pm report should reach both clients ) Is it possible? You can set 2 schedules if you want 8pm in India and 8pm in US. Thanks for the Post, However currently iam trying to create a publication with the report which is having the prompts. It is like Supplier performance scorecard which should be delivered to individual Supplier. When the report executed it will ask the prompts for the Plant and Supplier, based on the selection the scorecard will get generated for the resepcetive plant and the supplier. I need to send this generated report to the supplier using publication through SFTP server in the PDF format. Could you please let me know how i ca achieve this with prompts for dynamic recepients or if you have already addressed this in any of your previous post please let me know. First thanks for your articles, they are very helpful. My question is this, I have several Products owned by the same manager. I set up the report to breaK by Product and I am disbursing this by manager email. I am disbursing xls reports. The issue i have is I want to group all the Products for a manager into 1 report. Since these Products can change managers, i am using dynamic recieptant list. Any ideas on how to group the 800+ Products per manager as one email? Thanks for posting about the publication. I am trying to burst 5000 reports to our internal share drive. Sounds exciting. Where would we find the DRB application? For a recurring scheduled job that waits for the file based event to occur, is there a way to receive a failure notification email if the file that the report is waiting for doesn’t arrive on that day. I have a webi report scheduled to start at say 9 AM every day when a text file is created on the shared drive. Obviously, I’m using a file based event here to trigger the scheduled job. I have enabled the Notification email setting to receive both the success and failure emails. Since this is a recurring job (scheduled the report to run every day for the next 2 years) the report runs everyday at specified time and looks for the file. If the file arrives in the specified destination the scheduled job runs for that day and send a success notification email. If the file doesn’t arrive for whatever reason on that day then the scheduled report will not run, but I will not receive a failure email notification either because the report never failed since the expiry date on the report is set to 2 years from today. How do I notify the admins/users so that they know that the report failed to run for that day so that they are not waiting for the report to arrive? My requirement is that when the file doesn’t arrive after certain time on a given day eg:- if the report instance starts at 9 AM and the file doesn’t arrive by 11 AM then I need to send a notification to the users that the report failed to run. Is this possible? Unfortunately there is nothing native to BusinessObjects that can accomplish what you are trying to do. What I would do though is create a job that runs at the end of the day and if it sees that the file never showed up in the directory, that job would send out an email. It should be very easy to code something that accomplishes that. Thanks David for the reply. I guess I will try what you suggested above. Is it possible to schedule the report having section in it ( section applied on Dept. ; have 5 departments ) then when it is been exported to excel then the excel should consists of 5 tabs in single excel sheet. i am used report level contexts IN,FORALL,FOREACH but it didnt sucess.how to use there contexts and solve #multivalue error. I was trying to implement the method you have shared, it is pretty successfully but there’s a problem I am facing. 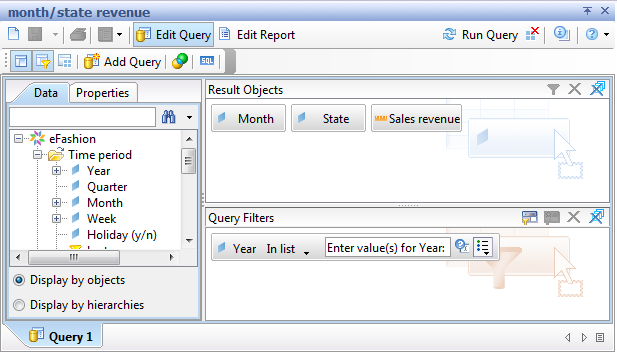 I have multiple queries in a report, when I schedule this report with above method filter is getting applied only on the first query, all the other queries are not returning filtered data. Would you please suggest if I need to do anything specific for multiple query report? It should apply to all queries. Were you able to debug and find what was causing your problem? Yes it is possible to burst to 50 different customers with their own data, since we are filtering what is being sent to each user. This can all be done with publications. I am not that unfamiliar with Publications as I have done this before but this time I am doing it solely based on an EXCEL document for the Datasource. In order to help break things out via email(need to use dynamic recipients) I created a section within the created BO Report to be sent out. So far it runs but I get 5 emails instead of just 1? I think its because the lookup tab that has the emails of the report has 5 rows. The report that goes out includes all the data for the person outlined but I want the email to consolidated into just one and not as its currently doing… .sending out the 5 emails?! Any ideas or suggestions is greatly appreciated. 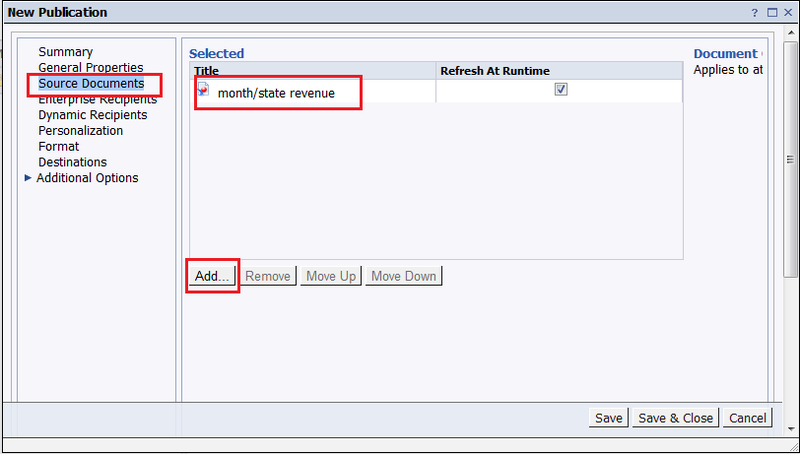 I wish to migrate from Excel reports to SAP Business Object. What are the steps to follow and what, in your opinion, are the information I need to do so? 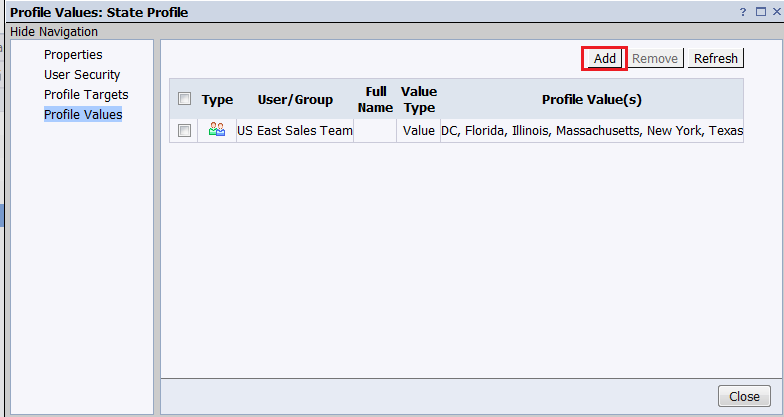 You can easily upload Excel files onto the SAP BusinessObjects system from BI Launchpad. There is an option to upload new files. When you choose that option, just select the excel file that you want to upload. Can you please let me know how to burst a report into more than one level? Currently I have one Profile with two Groups that get one report each for America and Europe regions. Now they want reports separated by Country as well. I am a business intelligence professional who specializes primarily with the SAP Business Objects and SAP BW toolset. This space was created to share my knowledge and experience within the business intelligence realm.